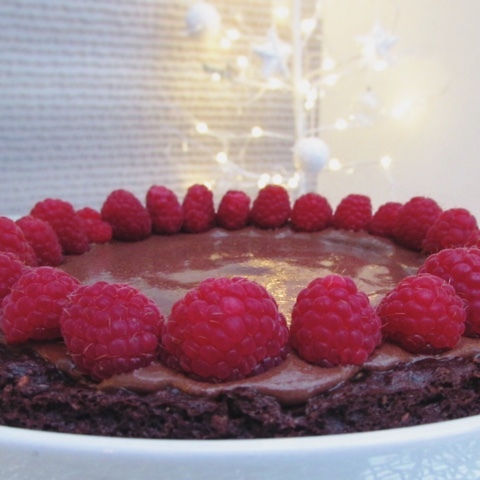 Chocolate cake doesn’t usually do it for me, but this cake is different… I’m afraid you’re going to have to try it to see what I’m talking about! 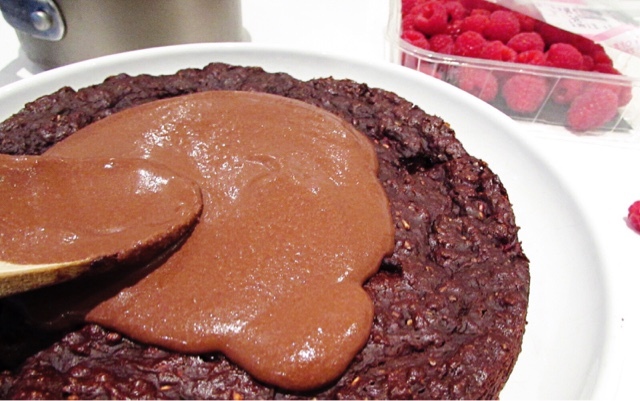 Make this delicious alternative to a traditional chocolate cake for a healthy sweet treat. Tip- If you want two tiers to sandwich together then double up on the ingredients. Preheat oven to 180 degree celcius and grease cake tin (I used coconut oil). 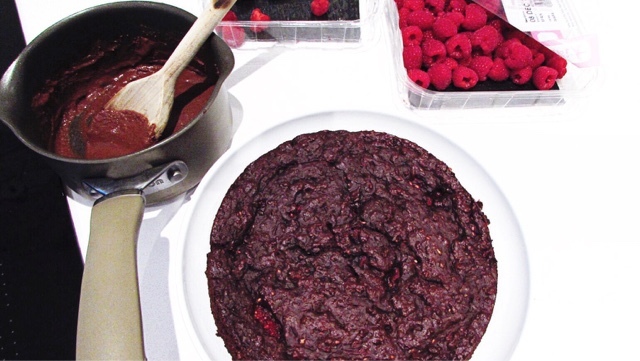 In a bowl, blend together the coconut milk, coconut oil, vanilla extract and raspberry mash until combined. In a separate bowl, mix together the whole wheat flour, dark chocolate cocoa powder and baking powder. Add this gradually to the raspberry mash bowl until blended. Pour into prepared cake tin and bake for 25 minutes. On a low boil, heat the coconut milk until hot, then remove from heat. Mix in the coconut oil and the chocolate until completely smooth. Leave to cool for at least an hour. 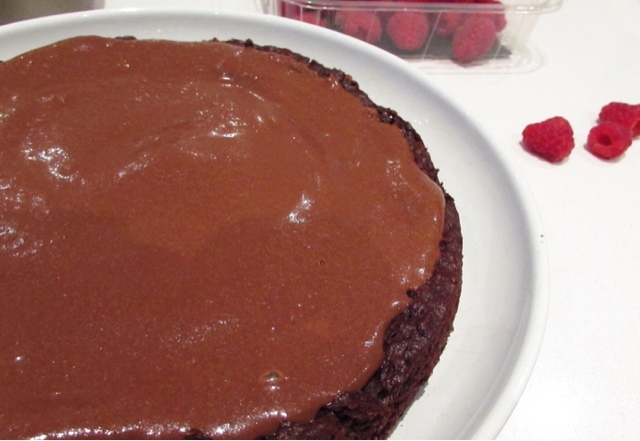 Once both the cake and the ganache are completely cool, spread the ganache evenly across the cake. Decorate the cake with the extra raspberries. 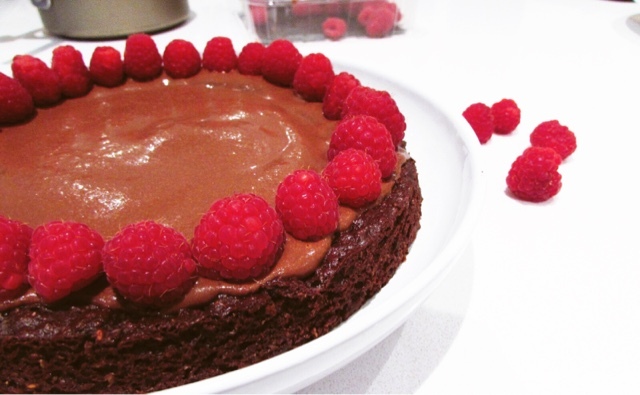 Once you have garnished the cake with fresh raspberries, leave in the fridge for an hour before serving. 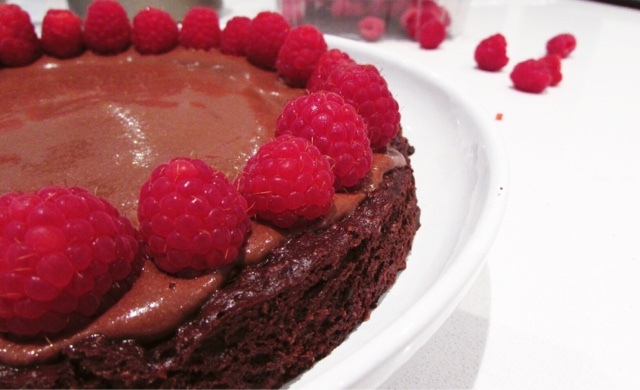 Then enjoy this beautifully raspberry chocolate flavoured cake!